National Olympic swimmer Dylan Carter snatched the bronze medal at the Men's 50m butterfly in the FINA World Swimming Championship earlier today. 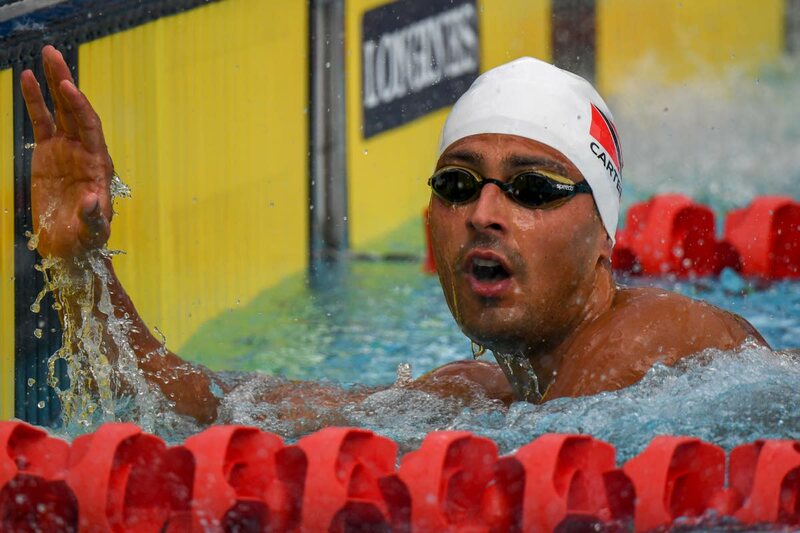 The Commonwealth Games gold medallist came in behind silver medallist Russian Chad le Clos (21.97) and gold medallist Brazilian Nicholas Santos (21.81) with a time of 22.38. He was not as lucky in the 100m freestyle, as he did not score and failed to get to the semi-finals. Carter went to the swimming championship with teammate Cadell Lyons who placed 36th overall in the Men's 100m backstroke. Carter took part in five events during the World Swimming Championship, the 200m freestyle, 100m freestyle 50m freestyle, 50m butterfly, and the 50m backstroke. Reply to "Carter wins bronze in 50m butterfly"